Size of this preview: 655 × 599 pixels. Description: Nebraska National Bank, Omaha, Douglas County, Nebraska. Dufrene & Mendelssohn, Architects. Engraving from Omaha Illustrated: A Hisory of the Pioneer Period and the Omaha of Today. 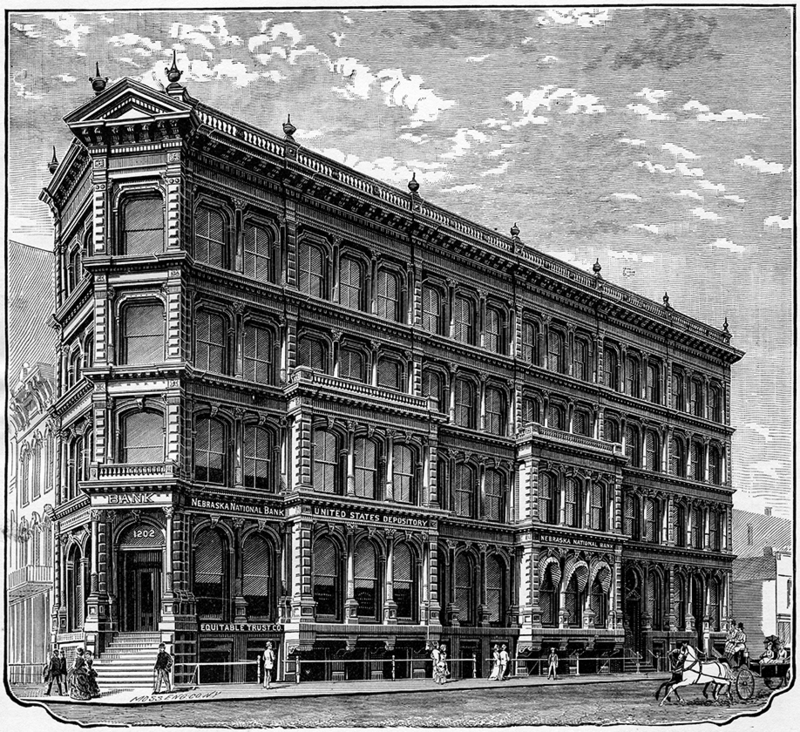 (Omaha: D.C. Dunbar & Company, January, 1888): n.p. Rights Usage Terms: Public, non-commercial use, with credit, is granted file names ending in ‘w’ no derivatives. Nebraska National Bank, Omaha, Douglas County, Nebraska. Mendelssohn & Lawrie, Architects. Engraving from Omaha Illustrated: A Hisory of the Pioneer Period and the Omaha of Today. (Omaha: D.C. Dunbar & Company, January, 1888): n.p. Public, non-commercial use, with credit, is granted for all files ending in 'w' no derivatives. This page was last modified on 11 January 2017, at 15:06.